The fourth volume of the definitive resource to Andy Warhol’s oeuvre features his portraits of celebrities such as Halston and Mick Jagger; his American Indian paintings; and the iconic Ladies and Gentlemen series. 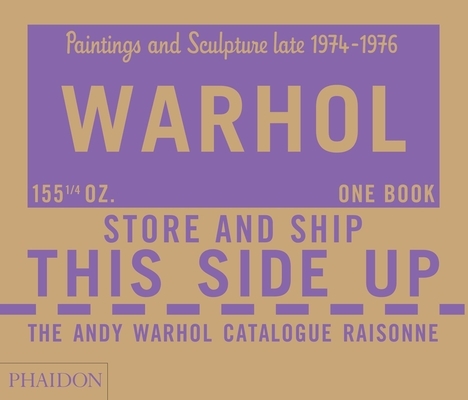 Developed in conjunction with the Andy Warhol Foundation for the Visual Arts, Phaidon’s highly regarded catalogues are deluxe inside and out. Volume Four is no exception, featuring standout packaging and nearly 800 illustrations. The 608 works featured here include newly discovered pieces as well as some previously thought to be lost. Accompanying the artworks are Warhol’s Polaroids, source materials, works by other artists from his personal collection, and exhibition views. Sally King&hyphen;Nero, Executive Editor of Volumes 2 and 3 of the Andy Warhol Catalogue Raisonné, is Curator of Drawings and Photographs at the Andy Warhol Foundation for the Visual Arts in New York. Neil Printz, co&hyphen;edited the first two volumes of the Andy Warhol Catalogue Raisonné; Paintings and Sculptures, 1961–1963 and Paintings and Sculptures, 1964–1969. He is the Editor of Volume 3: Paintings and Sculptures, 1970–1974. He was formerly Editor of the Isamu Noguchi Catalogue Raisonné and Research Curator for Twentieth Century Art at The Menil Collection, Houston.